Even though Kat believes in what her mother, her aunt, and many other women are doing, she is not sure that she likes it. Having her mother go and picket outside the White House and watching her wave banners saying "Give Women the Vote" all makes Kat nervous, for her entire family life is being turned upside down. Matters only get worse when Kat's dearest friend and cousin, Alma is taken away by Alma's father. Alma's parents are facing a divorce and her father takes Alma and her siblings to their grandparents?' house in the "South." For Kat the abduction is heart breaking and the situation is only made more bizarre when Alma runs away from her grandparents? home and goes to England to work in a war hospital. Indeed the whole country is talking about the war and Wilson's refusal to get involved. It is not the best of climates for the women on the picket line and their demonstrations are seen by many to be at best a nuisance and at worst downright unpatriotic. Many of the women are attacked as they stand in front of the White House and then the arrests begin. When Kat's own precious mother is taken to jail Kat is not sure how she is going to manage without her. This wonderfully colourful, intimate portrait of a young girl's painful and difficult time growing up in a turbulent period in American history is both interesting and very moving. 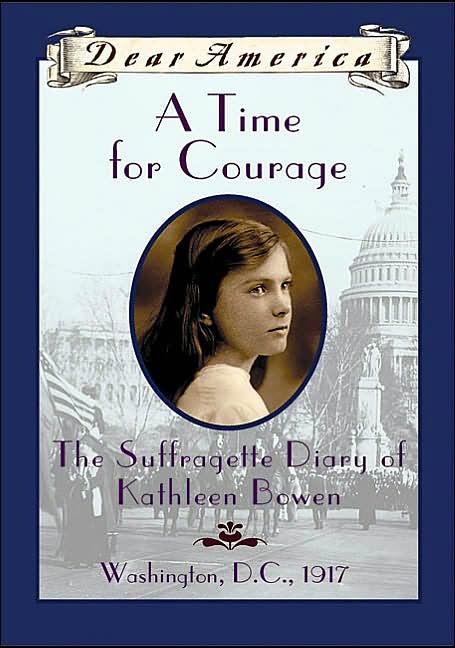 Kathryn Lasky shows her readers how challenging it was to be a thinking independent women in the early part of the century and how hard many of these women had to fight to be given the same rights and freedoms enjoyed by men. The book is a historically correct and engaging tribute to the many women who suffered as they fought for what they thought was right.